Harley Rouda, a Laguna Beach Democrat challenging 15-term Republican incumbent Dana Rohrabacher for the 48th Congressional District, speaks with supporters at his election night event at the Marriott Hotel in Newport Beach on Tuesday. In two historically Republican-represented districts that cover Newport Beach, the Democratic challengers from Tuesday’s midterm elections are either already ahead or very narrowly behind in a pair of races that could flip the districts blue. But both are still too close to call. A notable race that has gained national attention is for the hotly contested 48th Congressional District, which includes Newport Beach and spans Seal Beach to Laguna Niguel. 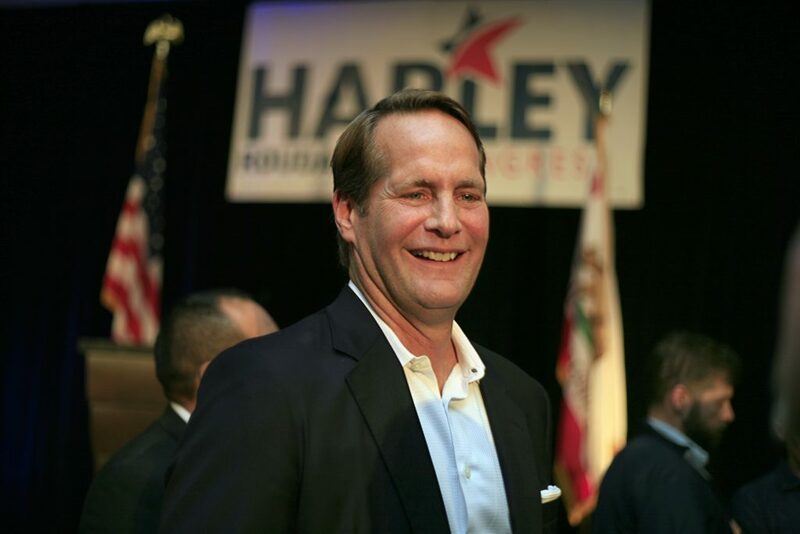 Harley Rouda, a Democrat from Laguna Beach, is looking to unseat the 15-term incumbent, Republican Dana Rohrabacher. As of the Thursday 5 p.m. update, Rouda had a lead of 4,756 votes, or a total of 51.2 percent of the votes. “We feel very confident that we will be victorious,” Rouda said Thursday morning. As of Thursday morning, the Orange County Registrar of Voters still had 418,000 total ballots to count, including vote-by-mail, provisional, and election day paper ballots, as well as conditional voter registrations. It may take several weeks to certify the results. Based on the current number of votes, what’s left to count and the type of votes left, Rouda thinks he’ll keep his lead, if not increase it. Rohrabacher spokesman Andrew Eisenberger said in an email Thursday that they are waiting for the remaining ballots to be counted before making a statement. The campaign is engaged in overseeing the count at the Registrar of Voters, he added. 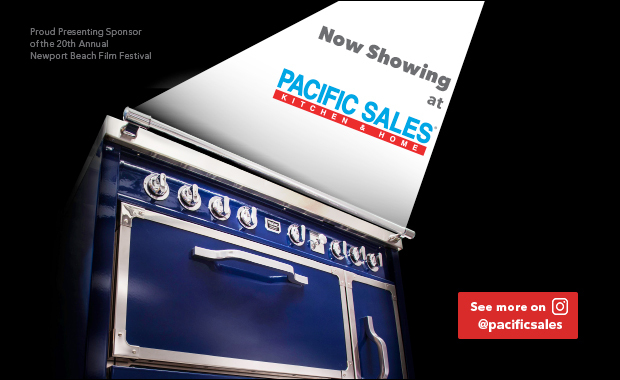 It could be days or weeks before anything is finalized. “The race is close and the outstanding ballots could go either way,” Eisenberger explained. During the primary election in June, Republican incumbent Dana Rohrabacher gives a speech in front of an excited crowd at his campaign headquarters in Costa Mesa. 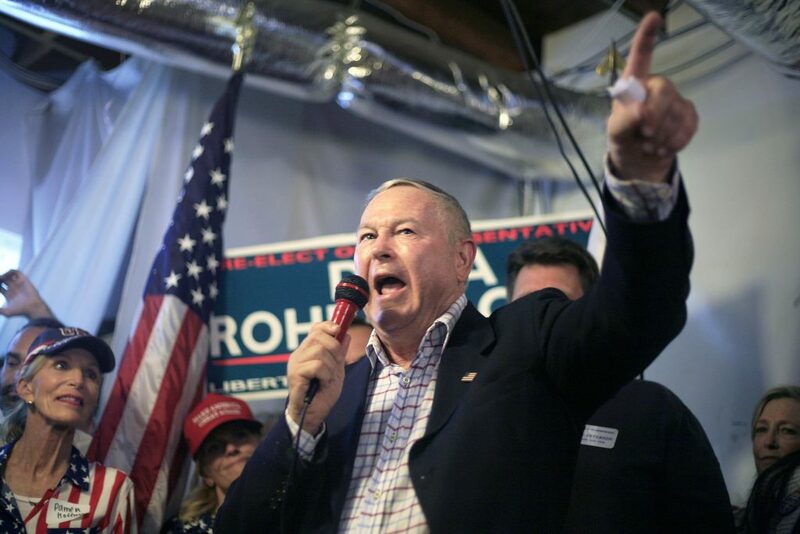 At the time of his speech to the media during his election night event at Skosh Monahan’s on Newport Blvd., Rohrabacher was slightly ahead and said there was still a “good chance” he could win. Supporters cheered his name as he expressed his confidence in his shot at pulling ahead. 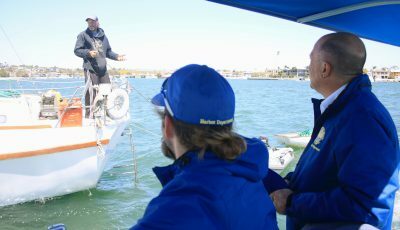 Outsiders have been pumping money into this race, Rohrabacher said Tuesday. They have spent $20 million trying to defeat him, he added. California’s District 48 is one of the most expensive House races in the country during this election, according to Center for Responsive Politics, a nonpartisan, independent and nonprofit research group tracking money in U.S. politics. It lands in sixth place of total spent, including both candidate campaign committees and outside groups. A total of $24.16 million has been spent on the 48th District race, with just over $8 million of that coming from candidate campaign committees and rest, nearly $16 million, coming from outside spending groups. Rouda later commented that the roles in that comparison are actually swapped. 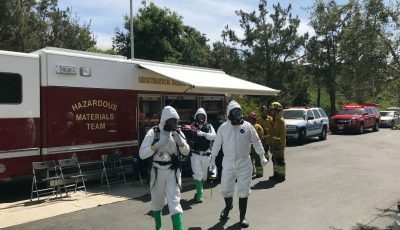 “I’m pretty sure I’m the David in this story,” Rouda said Thursday morning. Rohrabcher is a 30-year incumbent and millions were spent trying to protect him, he explained. This district is historically red, he added. It was a tough fight, but voters proved it what they wanted. “It’s makes me feel really good that our message resonated with voters,” Rouda said. At his election night event at the Marriott Hotel and Spa on Newport Center Dr., Rouda said he believes in equal rights, women’s rights, and that diversity is part of what makes America great. Another notable race that Newport Beach voters weighed in on is even tighter. On Thursday morning, a difference of just 436 votes separated the two candidates for the 74th Assembly District, which covers Newport, and includes Laguna Beach, Irvine and Costa Mesa. Huntington Beach Republican incumbent Matthew Harper was in the lead over Cottie Petrie-Norris, a Laguna Beach Democrat. 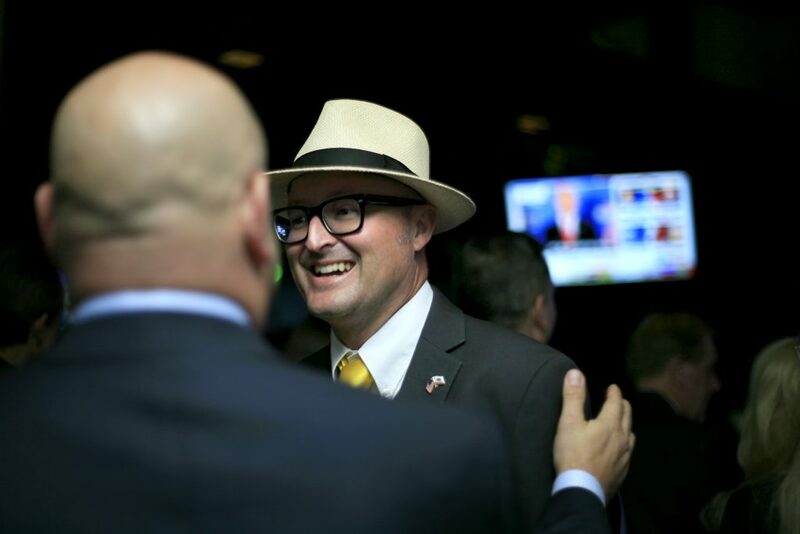 Assemblyman Matthew Harper greets supporters at the OC GOP election night event at CP Restaurant and Lounge in Newport Beach on Tuesday. But by the Thursday 5 p.m. update, Petrie-Norris jumped ahead, now with 620 votes more than Harper, taking 50.2 percent of votes. The race for the 74th is the second closest assembly race in the state (the closest is District 60 in Corona and is separated by just three votes as of Thursday morning). “It’s a good reminder to citizens that every vote counts,” Harper said in a Thursday morning phone call. There are a lot of votes left to count, he noted. When the early absentee ballots were counted it put Harper ahead by about 2.5 points. If the late absentee ballots mirror the earlier ones, it should secure the lead for him, he pointed out. Although, provisional ballots counted at very end usually trend Democrat, he added. “It could go up and down over the next couple of weeks,” Harper said. The high turnout is part of what has caused incumbents in typically Republican districts, like Harper’s and Rohrabacher’s, to face such tough Democrat challengers. “We witnessed long lines on Election Day and historic ballot returns, and it’s clear the people of Orange County are hungry for change and deserve responsive and effective leadership,” Petrie-Norris said in an email Thursday. On social media, she pointed out that the race is still too close to call. “Due to the unprecedented turnout there are thousands of ballots still to be counted in Orange County,” she wrote. Harper said he anticipated it would be a challenging race because of what’s going on in other races and at the national level. Democrats have invested a lot of money against Rohrabacher and Mimi Walters, and Harper’s district overlaps a good portion of both of theirs, he pointed out. This, in turn, impacted his race. 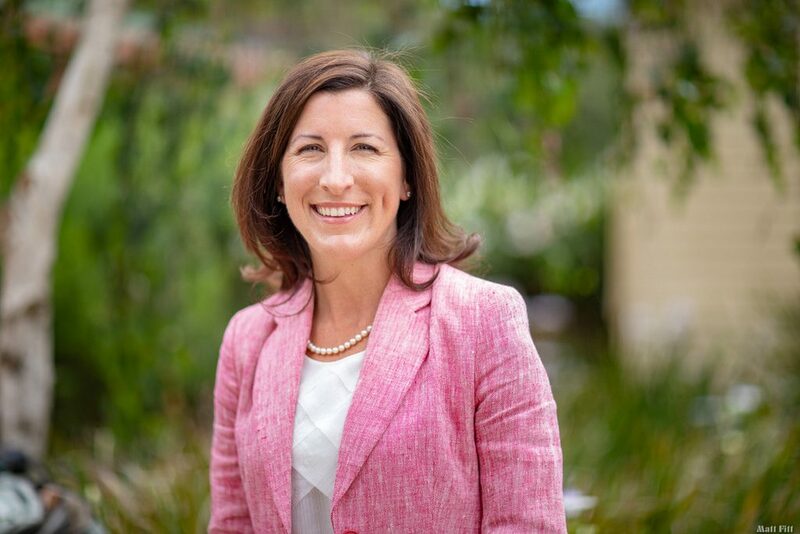 Cottie Petrie-Norris, a Democrat from Laguna Beach, is in a tight race for the 74th Assembly district seat. “I’m very happy that the voters who know me best. 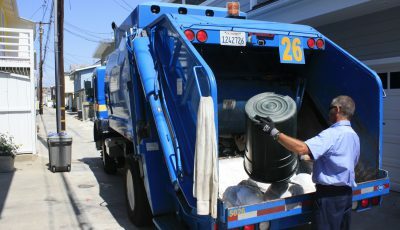 in Huntington Beach and Newport Beach, voted for me in good numbers,” Harper said. Newport Beach overwhelmingly supported Harper on the ballot, according to the current OC Registrar data maps. He had a stronger lead over Petrie-Norris for most of Tuesday night, but Wednesday’s count narrowed it dramatically. In another race on local ballots, the challenger for OC District Attorney, Todd Spitzer, landed far ahead of incumbent Tony Rackauckas. Spitzer gathered 296,685 votes, or 52.9 percent, with Rackauckas getting 264,213 votes, or 47.1 percent, as of Thursday morning. 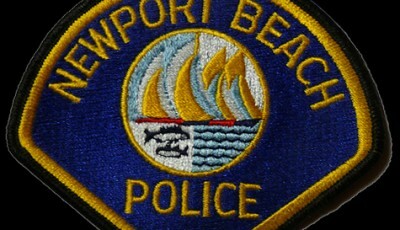 Newport Beach residents voted overwhelmingly for Measure T, which asked to amend the City Charter with language that would require 55 percent voter approval prior to issuing lease-revenue bonds, like Certificates Of Participation, greater than $50 million to finance capital projects. With 19,988 votes, or 79.6 percent, supporting the measure, it easily passed. Voters also selected their choices for several open seats on the Newport-Mesa Unified School District Board of Trustees. The two incumbents running, Charlene Metoyer and Karen Yelsey, easily beat their challengers with 53.8 percent and 69.3 percent of the votes, respectively. In the two areas for the NMUSD board with no incumbents running, Michelle Barto and Ashley Anderson also easily won, with 62.6 percent and 64.2 percent, respectively. Another school-related item on the ballot was Measure H regarding NMUSD board term limits, which also passed with a significant number, about 83.8 percent, of the votes. 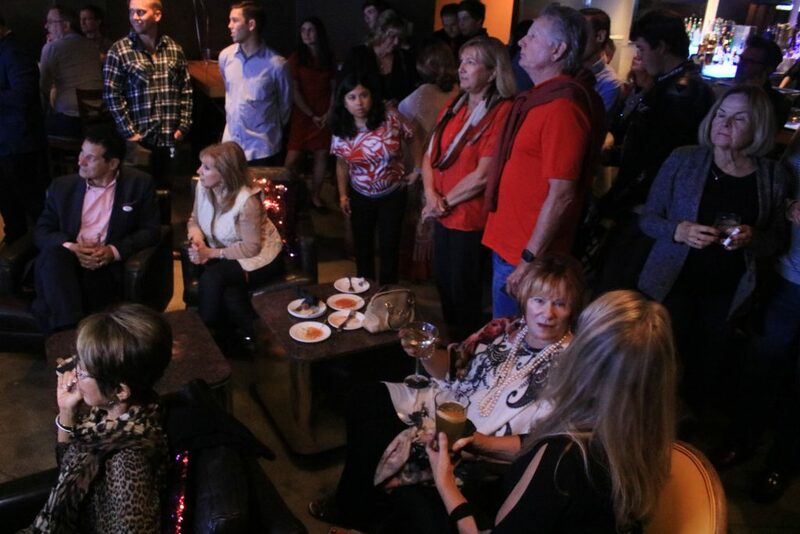 Republican candidate supporters watch live election results at the OC GOP event at CP Restaurant and Lounge in Newport Beach on Tuesday. 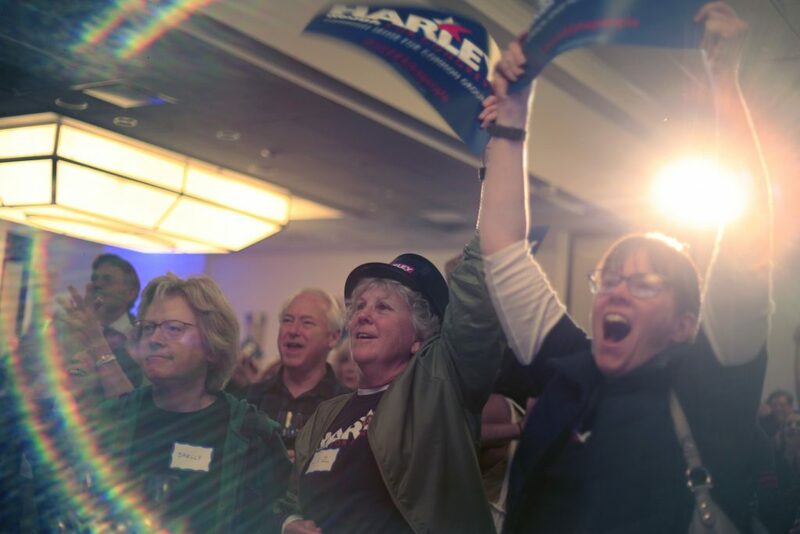 Harley Rouda supporters cheer during Rouda’s event at the Marriott Hotel on Newport Center Drive on Tuesday. Harley Rouda supporters take a photo with a “Blue Wave” prop at Rouda’s election night event at the Marriott Hotel on Newport Center Drive on Tuesday. Harley Rouda supporters cheer as election updates are shown on a projector screen during Rouda’s event at the Marriott Hotel on Newport Center Drive on Tuesday.